A credit card is a magical financial tool.It allows you to spend now and pay later, and it rewards you for spending! These are benefits you already know. But if you take a closer look at the general features of a credit card you will also see that you can withdraw up to 90% of your credit limit in the form of cash. This is known as a cash advance. A cash advance may sound like a great way to get a loan without having to go through the entire loan application process, but the truth of the matter is that cash advances are debt traps. Ones you don’t want to touch with a 10-foot pole. 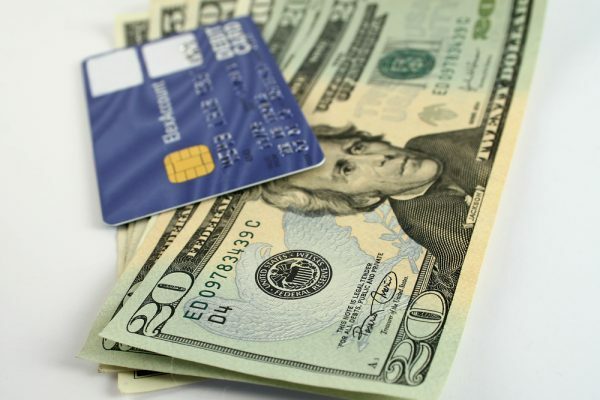 To understand why you should never take a cash advance, first let’s understand the difference between your normal credit card spend and a cash advance. Let’s say that you have a credit card with a S$12,000 credit limit (you earn S$3,000 per month and your credit limit is 4x your monthly income). Card in hand, you decide to go on a shopping spree. The cashier rings up a bill for S$2,500. You use your credit card to make the payment. Your credit limit is thus reduced by S$2,500 and is now S$9,500. This S$2,500 is reflected in your monthly statement. If you end up paying the bill after the due date or pay just the minimum amount, you will be charged interest. This interest rate varies depending on the card issuer. This is what you would call a normal credit card transaction. On the other hand, a cash advance is a sort of short-term loan. So, if you take a cash advance on your credit card, you will be able to withdraw 90% of S$12,000. This means that you will have S$10,800 in cash. The interest is chargeable from the time you withdraw the money, and the rate of interest is much higher than that charged for retail purchases. In other words, you are basically using your credit card to “purchase” cash instead of a product or service. If you didn’t already know, the interest for retail purchases made using your credit card is around 24% p.a. The interest rates charged on cash advances is even higher. For instance, UOB charges 28% p.a., OCBC’s interest rate is 28.92% p.a., and DBS charges 28% p.a. Now, let’s say that you take a cash advance of S$5,000 on your DBS credit card. You take one year to pay up this amount. So, the interest you are charged should be S$1,400, right (28% of S$5,000)? Not quite. This is because the interest you are charged is compounded on a daily basis until the amount is paid. So, at the end of the year, you are actually paying S$1,614.94 in interest! That’s S$214.94 more. Moreover, you are charged interest from the day you withdraw the money. So, the longer you take to pay your cash advance, the more interest you are charged. If you thought it was just the interest you were charged, then you thought wrong. Banks also charge you a fee for giving you this service. This fee is either a flat amount or a percentage of the amount withdrawn. DBS, OCBC, and UOB charge you 6% of the amount withdrawn (or S$15, whichever is higher). So, the minute you withdraw S$5,000 you not only incur interest, but you are poorer by S$300! These fees are if you take a cash advance in Singapore. If, however, you decide to take a cash advance overseas, you aren’t just charged the cash advance fee, but you also have to pay overseas ATM fees. This means, that even if the cash advance is for a few days at most, you have already spent quite a bit for that cash in hand. The amount you can withdraw is a percentage of your credit limit. So, naturally, your credit limit is reduced by the amount you withdraw. This means that if you have a credit card with a S$12,000 credit limit and have taken a S$5,000 cash advance, your credit limit is reduced to S$7,000. The limit increases as you repay the cash advance amount. Until the amount is repaid, you will have a lower credit limit for your purchases. Which is fine if you are okay with a lower credit limit, but you ideally shouldn’t be. You see, your credit limit is an important factor in determining what is known as the credit utilisation ratio. This ratio compares the outstanding balance on your credit card to your credit limit. This not only includes retail purchases, but it also includes any cash advance amount. In general, a good credit utilisation ratio should be less than 30% of the credit available to you. However, how does one credit advance affect anything, right? It does, because your credit utilisation ratio isn’t just limited to this one card. This ratio is determined by taking into consideration all the credit available to you. So, if you have any personal loans or other credit cards, they will be counted too. A ratio above 30% could affect your credit score and may prevent other financial institutions from extending you credit. When you take a cash advance, you try and pay it as fast as you can since interest is charged on a daily basis. Since cash advances do not have any grace period, a major portion of your income goes towards paying the amount you have withdrawn. While doing so, don’t forget to continue making minimum payments on your retail purchases (preferably pay the entire amount) since forgetting to do so could adversely affect your credit score. You will need to allocate enough money each month to pay both your retail purchasesas well as your cash advance. The amount is bound to be quite high and you may have to dig into your savings or look for alternate sources of income. Here’s something else you should know about your payments: law mandates banks to allocate your repayments to debts that are charged the higher rate of interest first. This means if you have retail purchases totalling up to S$2,000 and a cash advance of S$3,000 the amount you repay will first be allocated to your cash advance. Let’s say you make a repayment of S$2,000 in the hope of clearing out your retail purchases. The bank uses this amount to repay your cash advance and not your retail purchases. As a result, not only does the remaining amount on your cash advance accrue interest, but your retail purchases are charged as well since the grace period has been exceeded. Moreover, this will be counted as a missed payment towards your retail purchases thereby affecting your credit score. Even though your cash advance reduces your credit limit and it is sort of like buying money, you don’t earn any rewards on this transaction. This exclusion is spelt out in the terms and conditions of your credit card. In fact, if you use a cash advance to pay for a purchase, you end up spending more to own that product. Say you have a flat cashback credit card that gives you 3% cashback on all your spends and you decide to buy a product that costs S$300. If you charge your card, you spend S$300 and get a cashback of S$9! So, effectively, the amount you spent on the product is S$291. Now, if you take a cash advance, let’s say from UOB, for the same amount, you are charged a fee of S$18 (6% of the amount withdrawn). If you repay the amount the following month (like you would have if you had used your credit card to make the payment), you will end up paying a total of S$307.08. When you add the fee of S$18, the total amount you end up paying because you took a cash advance is S$325.80. S$25.80 more than the price of the product you wanted to buy! The bottom line is that a cash advance functions like a short-term loan. An expensive one at that. If the situation isn’t dire enough to warrant the use of a cash advance facility, you could try alternatives such as applying for a personal loan or a personal line of credit. Interest rates on these financial products are much lower than that on cash advances. However, there is no denying that there are certain situations wherein a cash advance is the most convenient option. It requires no cumbersome application process and hence is a great source of cash. Before you decide to use it though, make sure you know exactly what you are getting into!